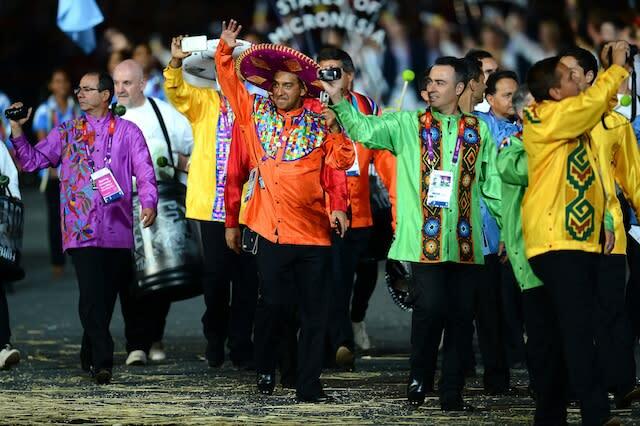 Our old friend, Leryn Franco, aka the Hot Paraguayan, kicks off Fourth-Place Medal's list of the best and worst dressed delegations of the 2012 Olympic Opening Ceremony. As always, our rankings our completely arbitrary. We should note that we pay special attention to national identity in this list. It's all dependent on who's wearing what. If the Americans rocked the Swedes outfit, it'd be a disaster -- not as big as the Ralph Lauren scarf/beret debacle, but pretty bad. 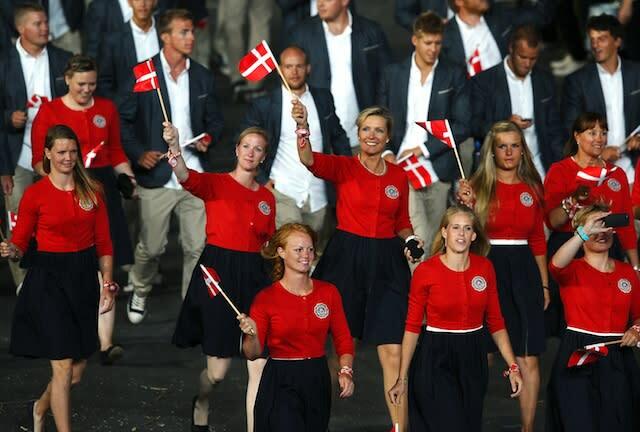 Because they're Swedes, however, thick, horizontal stripes and shorts works. They're Scandinavian. They can pull off anything! On to the list! Our picks for the best and worst lead those respective categories. Everything else is in no particular order. You can't pull off orange pants. I can't pull off orange pants. 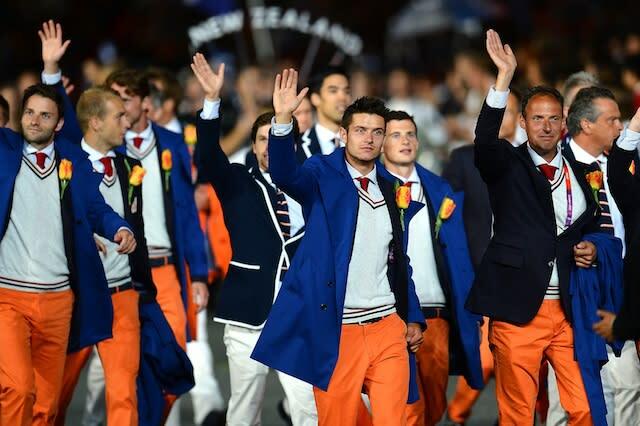 Only Dutch athletes can pull off orange pants. Wimbledon finalist Agnieszka Radwanska was a vision in rose leading the Polish delegation. A rule to live by: Never insult a man in a grass skirt. A Sig Ep or Tri Delt wearing this in a college bar would rightfully earn your derision. 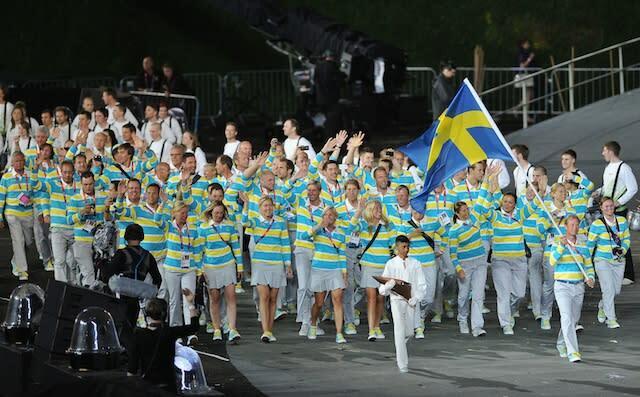 But there's something about the Swedish flag transformed into a rugby jersey that's working. 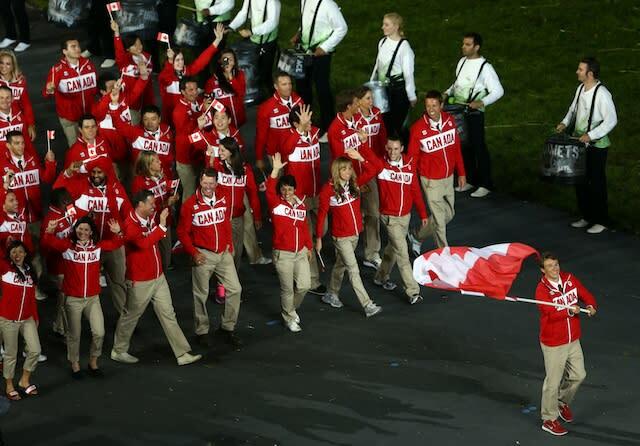 Cuts down on the "where are you from" questions in the Olympic Village. The simplicity is glorious. 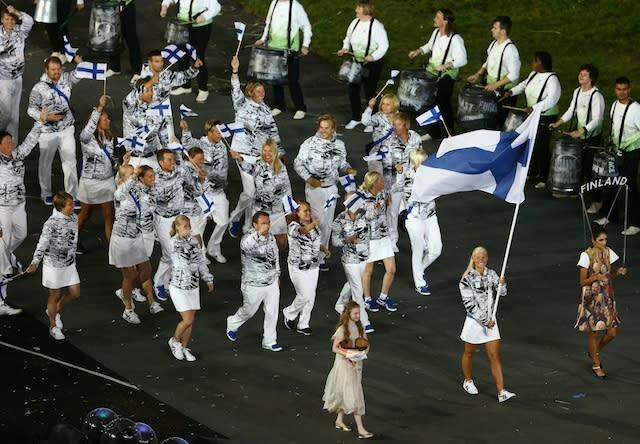 Over 200 countries marched at the Olympics. 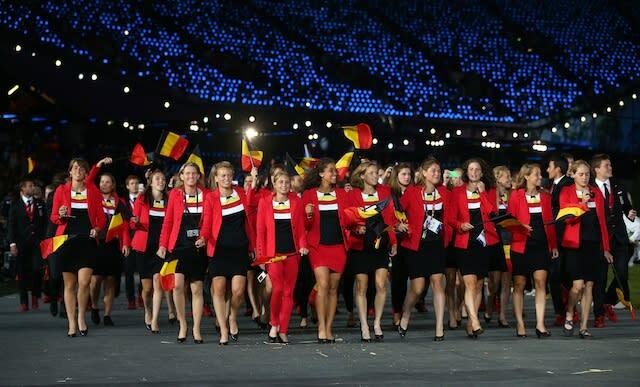 All of them would have earned "worst dressed" status with these Opening Ceremony uniforms. 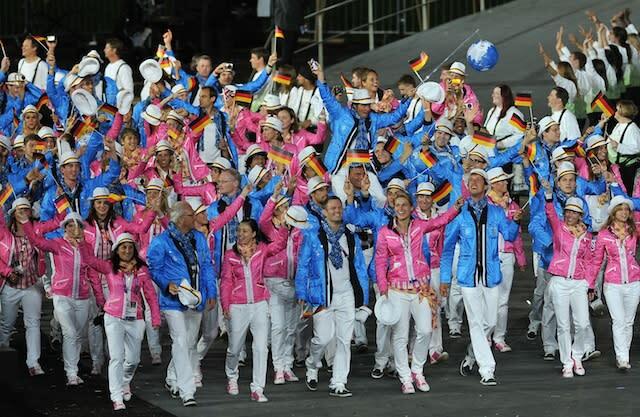 But these are the Germans and there's something so decidedly un-German about wearing baby colors. Ceremonial garb tends to fall in the middle of these lists. On one hand, we'll never criticize tradition. On the other, they're rarely fashion forward, as Tim Gunn might say. 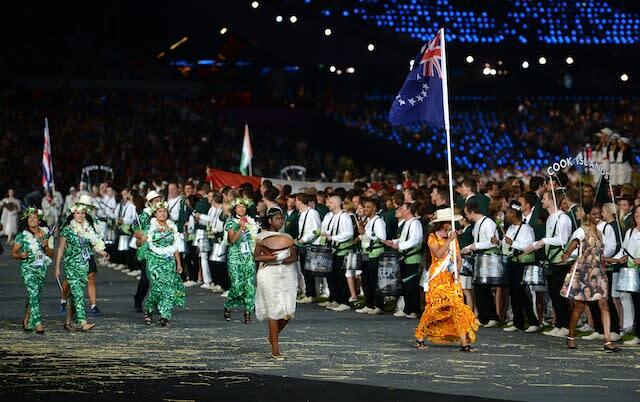 These Cook Islands outfits are different enough to buck that trend and make the list. The silhouette is so now. That's why we like it. Promise. Are they in Abba? A cult? A recreation of Puffy and Mase in the "Mo Money, Mo Problems" video? 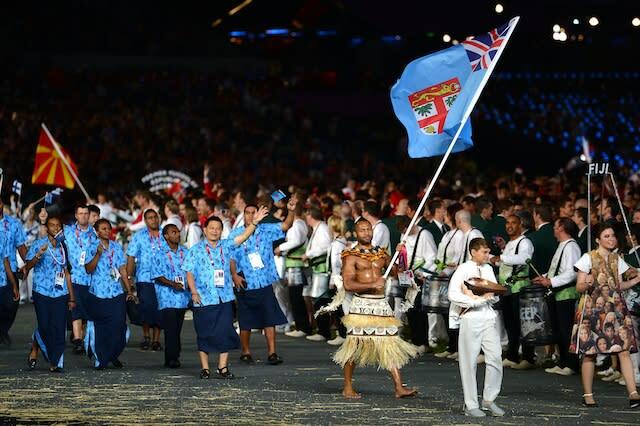 If the English do as well in the Olympics as they did in looking the most ridiculous at their Opening Ceremony, then it's going to be one happy fortnight in London. Positives: Sombreros. Negatives: Everything else. If the Olympics don't work out, a gig announcing "Monday Night Football" in 1974 could. Tennis shoes and skirts are only acceptable if you're walking from work to the subway. 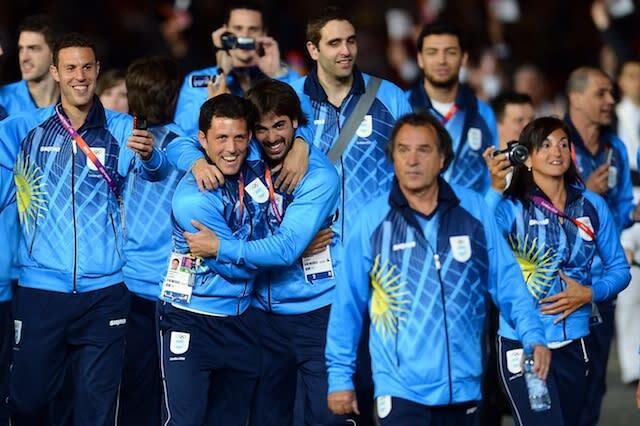 Were those outfits punishment for losing the Falklands War? Not that these outfits are so bad -- they're only marginally bad. They lead to one big question though: Why does one woman in the middle have on red tights and another have on a red skirt? WHY ARE THEY DIFFERENT? Somewhere in Hollywood, a studio executive saw this picture and started writing a pitch for "The Sound of Music II: The Von Trapp Sisters Grow Up and Go To London." Fourth-Place Medal has covered these Ralph Lauren atrocities at length, so we won't waste any more text now. Kidding. They look like they're posing for third-grade class pictures at an elementary school in Cherbourg. 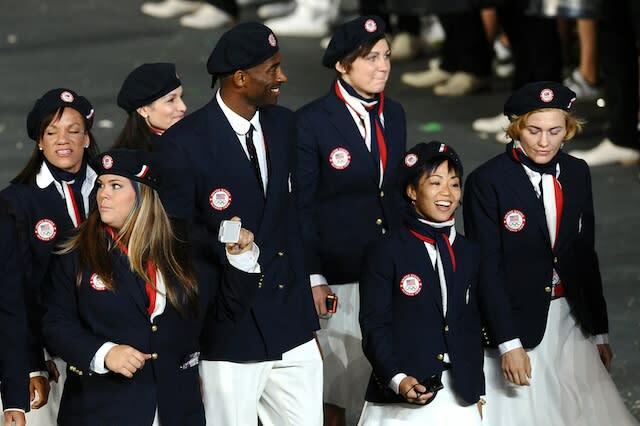 Side note without snark: Great move by Kobe Bryant to walk with random Team USA members rather than his basketball brethren. 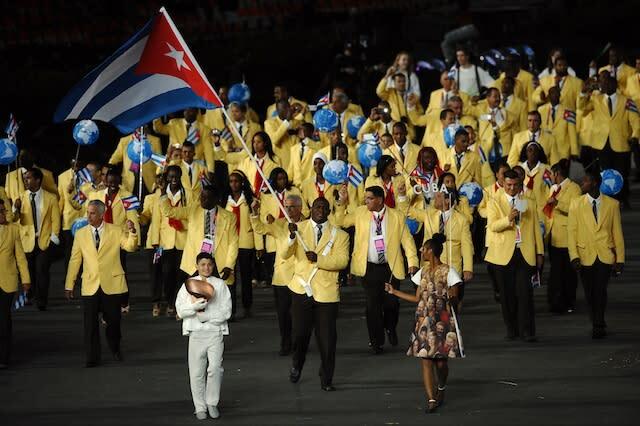 That's what the Olympics are all about. That and berets.